What are the recommended bandwidths/download/upload speeds for Live and In-Person testing? We highly recommend that you measure the upload and download speeds beforehand and that you ask participants to do so as well. Insufficient internet is likely to cause significant disruption to your testing. Our engineers recommend at least 5Mbps available both for upload and download. In practice, this means all parties must be on good wifi. 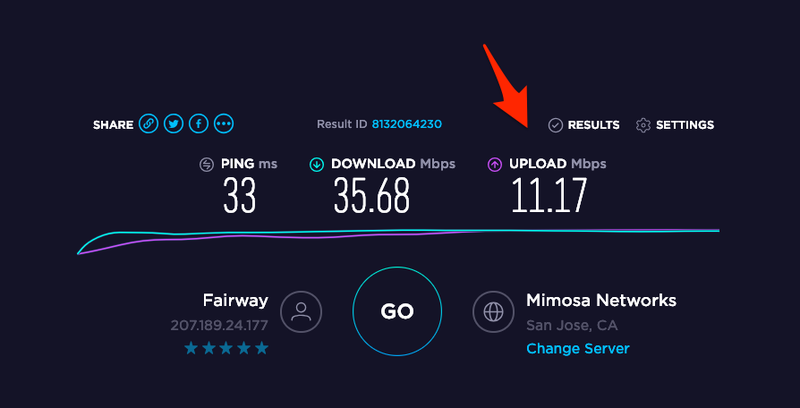 It’s more important that the participant (or the computer running Live or In-Person) have 5Mbps upload available (as that’s sending more data than receiving) and for the moderator (if any) it’s more important with download speeds. Please note that a lot of people only have access to asymmetric bandwidth - meaning that the download speeds are much higher than the upload speeds. If the internet speeds are insufficient, this will likely be experienced as connectivity issues or lag and it will impact the session negatively. The Lookback service will often get going even on much lower speeds, but it will not work well on connections with lower than recommended speeds. If you want to test your (or your participant's) network connection and software requirements click here. If you are still experiencing issues after passing these checks, please reach out to our support team and we will troubleshoot the issue for you. Reliability is the highest priority for Lookback and we follow up on every report.